Seema Verma will need clearance from the HHS office of ethics before she can weigh in on any decisions involving states that paid her to help tweak their Medicaid programs. Verma is believed to have more Medicaid experience than any other administrator in the agency's history, having helped craft expansion plans in Indiana, Iowa, Kentucky and Ohio. From Indiana alone, Verma's Indianapolis-based firm, SVC Inc. collected more than $6.6 million in consulting fees. The firm helped the state expand Medicaid in a program that requires beneficiaries to pay premium contributions, have health savings accounts, and a face a benefit lock-out if they don't pay premiums. Indiana currently is asking the CMS to extend the program for another three years. That and other contracts led Verma to inform the HHS' ethics office that she will request written authorization before hearing matters involving states she worked for. That also includes Arkansas, South Carolina, and Virginia. Indiana University law professor David Orentlicher compared Verma's work experience to an attorney who represents both the plaintiff and the defense in a lawsuit. It's also similar to a federal contract negotiator with a side job for a company they regularly negotiate with, he said. Bob Atlas, president of EBG Advisors, the healthcare unit of law firm Epstein Becker & Green, said Verma's request for ethics review should not slow the review of a pending 1115 waiver from Kentucky, from which SVC collected $316,000 in consulting fees. Ohio and Arizona also plan to soon submit waivers to make their Medicaid expansions more appealing to a conservative base. Many oppose the expansion opportunities that were provided by the Affordable Care Act, President Barack Obama's healthcare reform law. Preeya Noronha Pinto, a partner at the law firm King & Spalding and a former deputy general counsel for HHS said Verma would flag the cases not because her involvement would constitute a violation of the criminal conflict of interest statute, but rather would "raise a question" about Verma's impartiality. Verma disclosed this week that she will sell SVC within 90 days of her confirmation. The Senate Finance Committee will host a confirmation hearing for Verma on Thursday. In releasing the letter in which Verma shares her plans to flag potential conflicts, the Trump administration appears to embrace transparency not previously offered by other administrations, said Philo Hall, an attorney at Epstein Becker & Green and former associate director for health on the White House Domestic Policy Council. 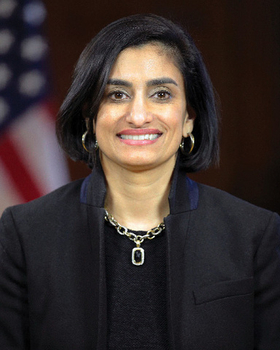 While it's expected she'll be confirmed on a party line vote much like others in Trump's administration, Verma will likely face questions from Democrats who worry about her lack of background in Medicare and inexperience leading a large organization.